Dual-cartography design - This globe displays the geographical features of the world when the light is off, but when the light is on, it displays the political map of the world. Dual power operation (AC adaptor included). 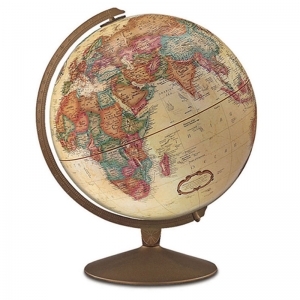 Globe in 2-piece construction with a sturdy base. Measures 11.5" x 10" x 12". 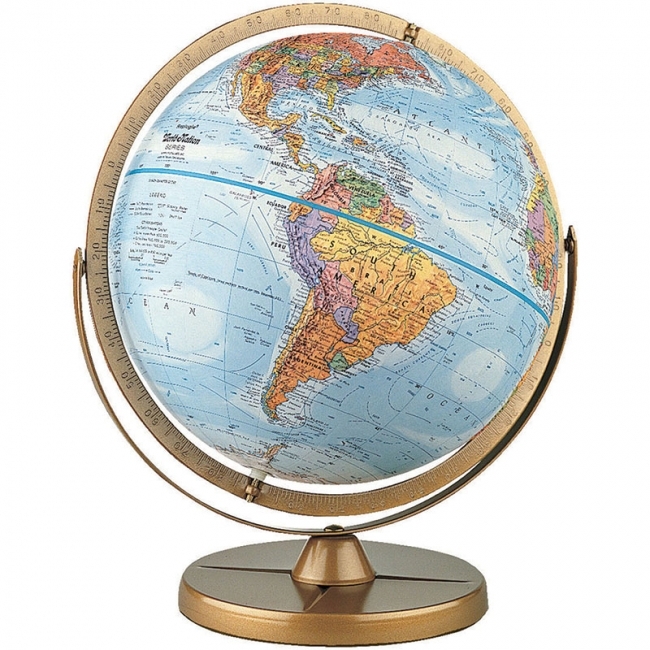 You are embarking on a great adventure—a trip to countries around the world, to the summits of the highest mountains, down the longest rivers, to landlocked nations, and to sun-drenched islands—all with the GeoSafari® Talking Globe! 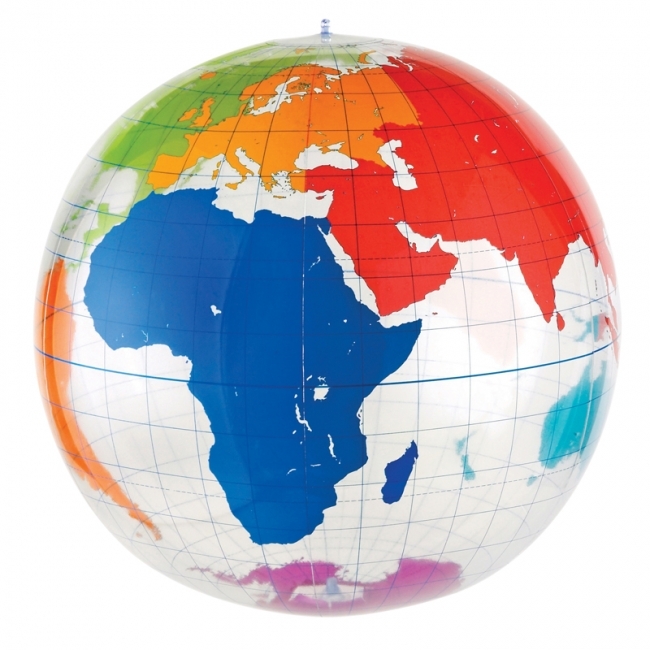 Learn many interesting facts about Earth, its countries, and people. • A talking globe that shares and quizzes interesting facts about Earth, its countries, and people. Make a game of geography. 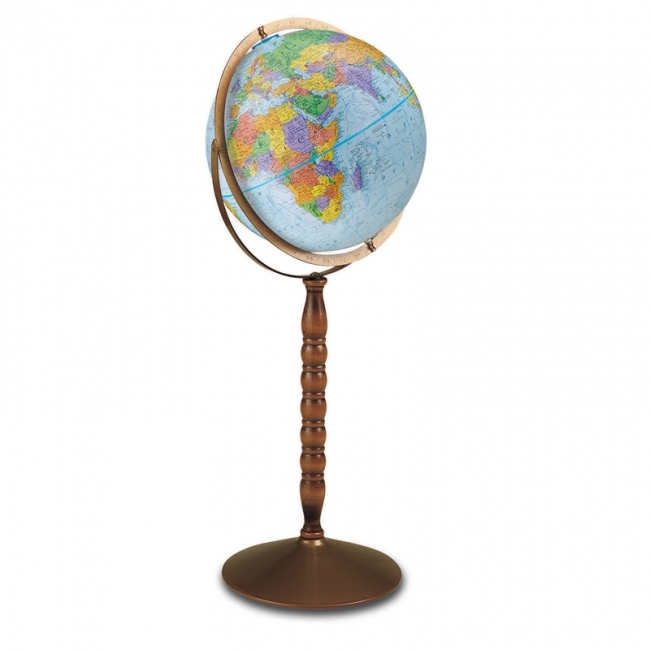 Kids can toss this globe and identify continents, countries, capitals and oceans, or hang for display. Includes a repair kit and an Activity Guide. Using an inflatable globe in the classroom is a great way for students to learn about the characteristics of our world. 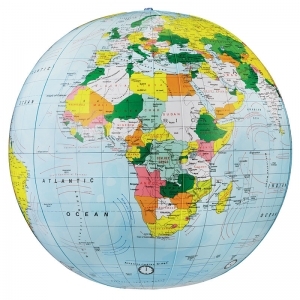 Use the globe for demonstration, teaching facts about the world, and classroom decoration. 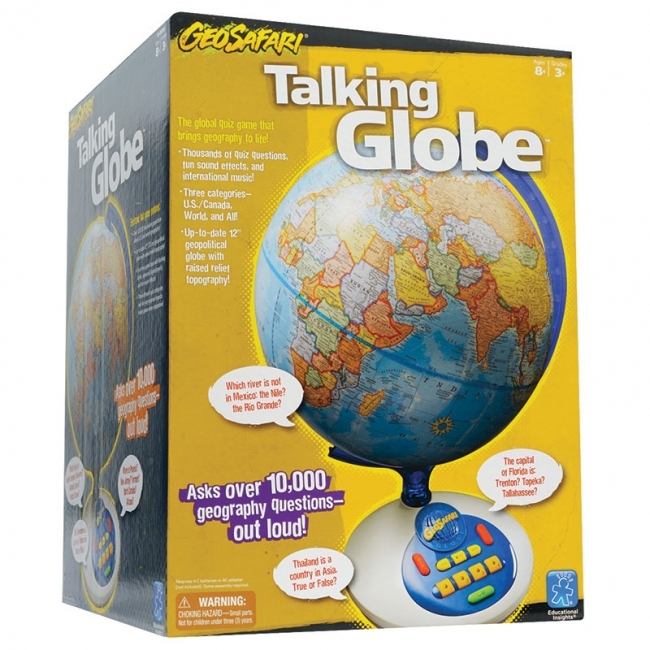 Includes a repair kit: Please follow the directions found in the repair kit for details on how to repair the inflatable globe if damage occurs. 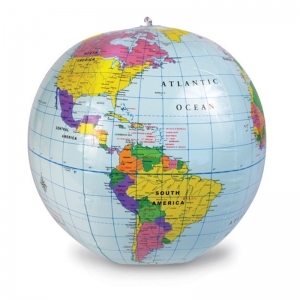 If you plan to hang the inflatable globe from the ceiling, you can tie a piece of string to the air-hole closure and attach it to the ceiling. Choking Hazard - Small Parts, not intended for children under 3 years. 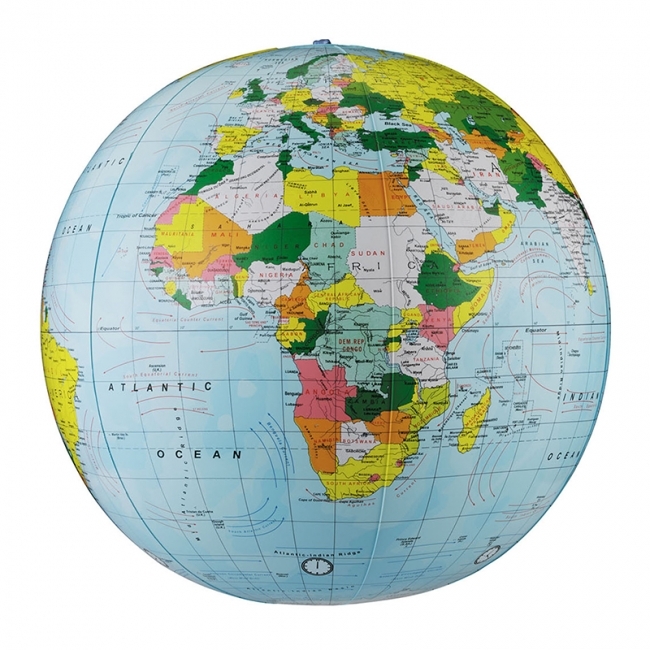 Invent your own world-wise tossing games with this giant write-on/wipe-off globe. Choking Hazard - Small Parts, not for children under 3 years. 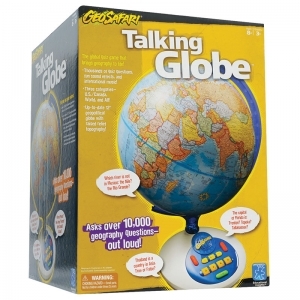 Makes it fun for kids to study geography, history, trade routes, climate and more. Includes repair kit, Activity Guide, and hook for hanging display. 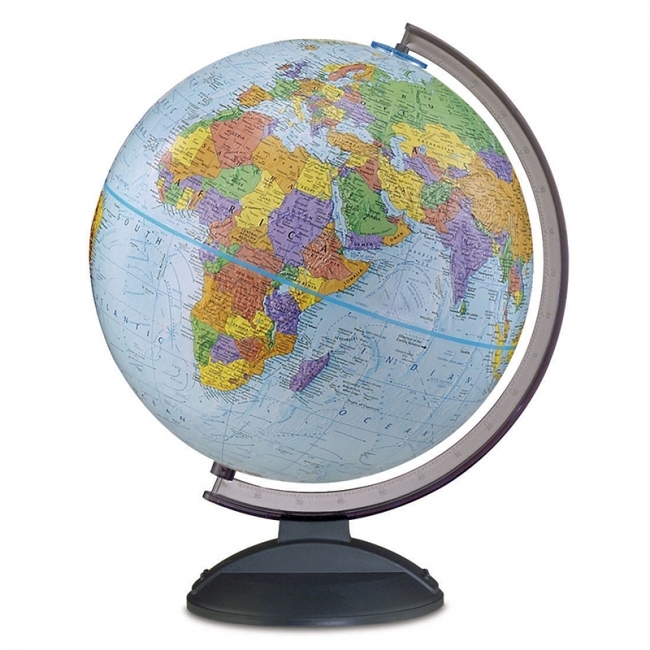 Vinyl globe measures 27" in diameter and works best with wet-erase marker. Spin your way into geography with this Puzzle Globe, which highlights landmarks and animals. 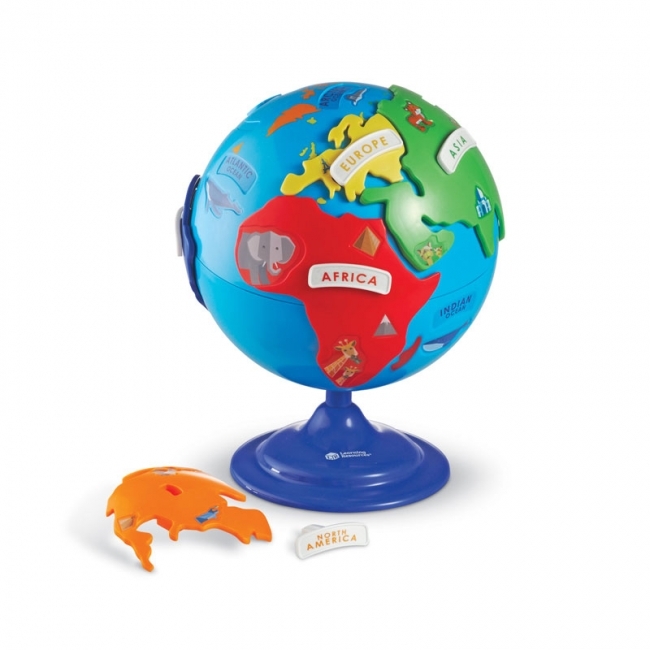 Each puzzle piece (continent) fits into one hole on the globe to make it easy for little ones to place. All 7 continents are represented (6 continent puzzle pieces plus stationary Antarctica). Globe measures 8" in diameter; largest piece (Asia) measures 5.75"L. Includes 6 continent puzzle pieces, 6 continent labels, and a sheet of blank label stickers. Age 3+/Grade PreK+. Explore more than 125 drawings of people, landmarks and animals on this kid friendly political map. Turn the light on to see physical map showing hidden aquatic animals such as lantern fish and ship wrecks such as Titanic. The illuminated globe also shows areas of tectonic plates of the Earth. Find the ?Pacific Ring of Fire? showing earthquakes, volcanic activity, mountain-building, and oceanic trench formation. 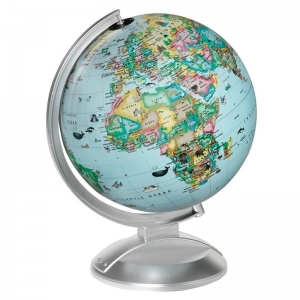 This globe will become a perfect com?panion to any child?s imagination. 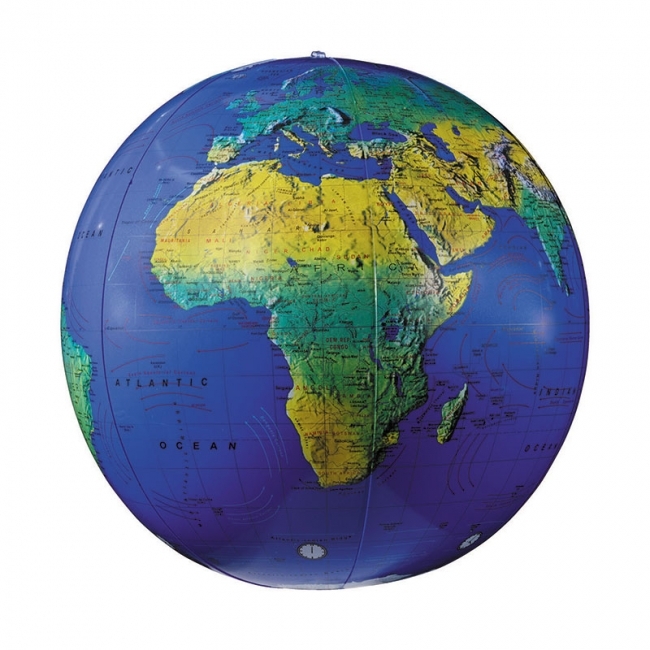 Introduce children to geography with this inflatable globe. 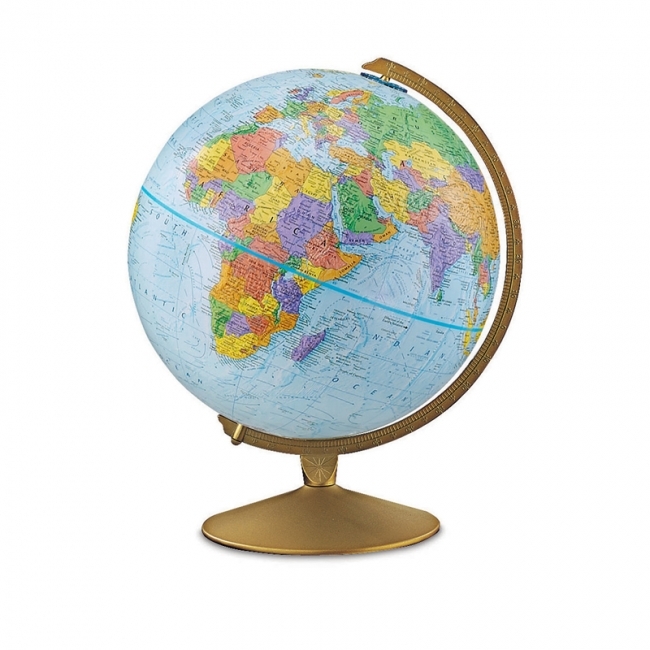 Globe is brilliantly colored and extremely durable. Introduce children to geography with this inflatable globe. 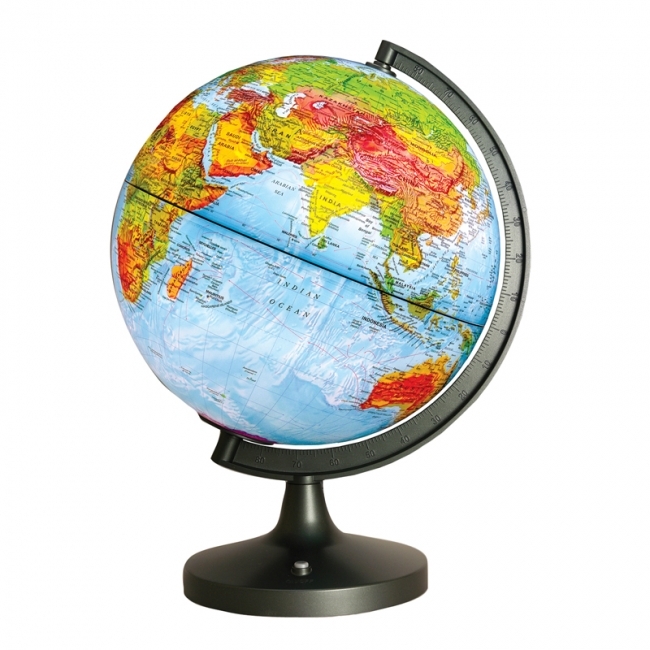 Each globe is brilliantly colored and extremely durable. Lightweight and durable, this 12" blue-ocean globe is a great tool for high school and college students. The smoke black plastic base and semi-meridian are scratch resistant and strong. 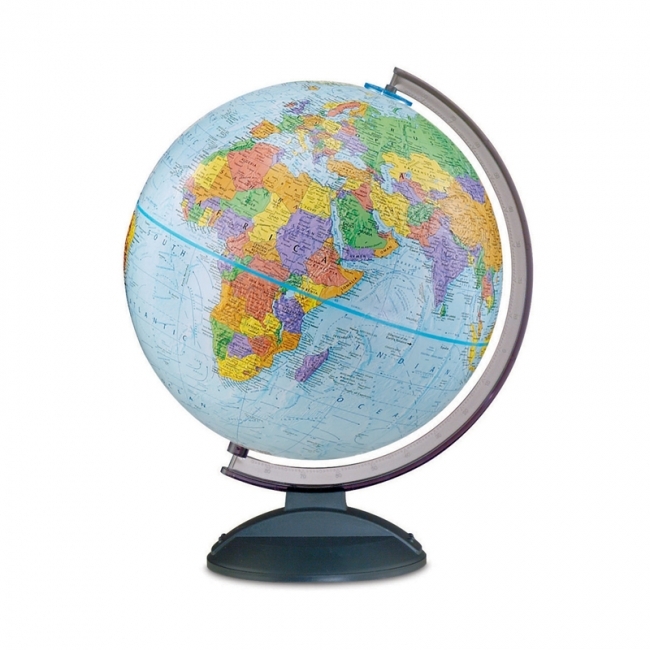 Lightweight and durable, this 12" blue-ocean globe is a great tool for high school and college students. The smoke black plastic base and semi-meridian are scratch resistant and strong. 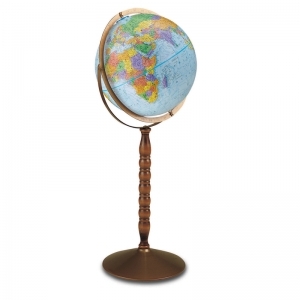 Measures 16"H x 13"W x 12"D.
The Franklins 12-inch antique globe features an antique finished base. Contains more than 4,000 place names distinctive political boundary markings.